* Spots still available to partner with Visit NC at travel shows in Philadelphia, D.C.
and Southern Living. Attendees will have the chance to win Southern Living cookbooks and taste delectable recipes from Meredith brands such as Southern Living magazine. The awards luncheon will honor notable leaders within North Carolina's tourism industry, recognizing their efforts and achievements. Meredith Travel Marketing, Southern Living and Visit North Carolina invite you to attend and get an all-access pass to these iconic brands. Meredith leads the market in creating content across media platforms in key interest areas, such as food, home, travel, parenthood and health. Its well-known properties include Better Homes & Gardens, Midwest Living, Parents, Real Simple, Southern Living, Coastal Living and many others. Meredith's multichannel audience encompasses 220 million consumers, and 17 owned or operated television stations that reach 11 percent of U.S. households. This year's Visit NC 365 Conference is March 31-April 2 in Wilmington. The conference brings together more than 500 members of the tourism industry to discuss the latest trends and issues facing the industry and hear insights from other tourism industry professionals. Find out more details, including a schedule of events, at visitnc365.com. Register now through March 14 with a rate of $499/person. Tell Visit NC you've registered by tagging it using hashtag #VisitNC365 onTwitter @NCTourism and Facebook @NCarolinaTourism. For more information on the conference, contact Dana Grimstead at (919) 447-7761. 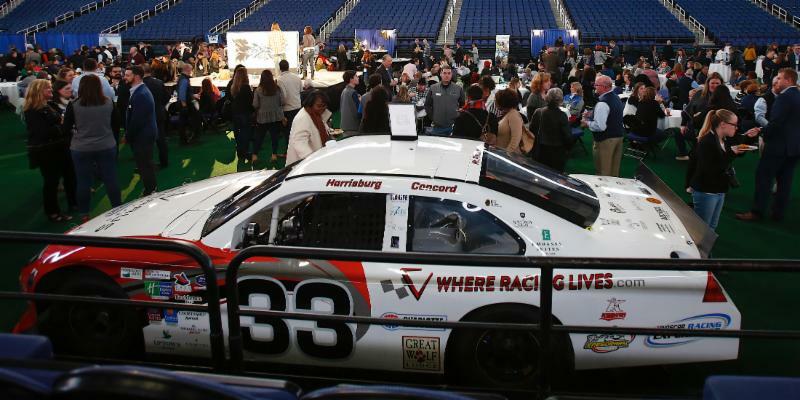 Sponsorship opportunities are also available; to learn more, click here. Spots still available to partner with Visit NC at consumer travel shows in Philadelphia and D.C. There are a few spots still available for industry partners to join Visit NC at the Travel & Adventure Shows in Philadelphia, Penn., and Washington, D.C. These shows offer additional opportunities for Visit NC - and its interested partners - to promote travel to North Carolina to potential visitors who are actively looking for travel suggestions and information. Mar. 8-10 -Travel & Adventure Show - Philadelphia; approximately 14,200 attendees. One spot available. Mar. 15-17 - Travel & Adventure Show - Washington, D.C., approximately 22,600 attendees. Two spots available. The cost to participate is $850 per show per partner. Visit NC with have a 10' x 20' booth at each show. Partners interested in participating in either or both of the shows should contact Visit NC's André Nabors at (919) 447-7771 as quickly as possible. Tomorrow (Thursday), tourism-related businesses in Edenton and Chowan County - plus the surrounding counties - will have an opportunity to work with Visit North Carolina staff to learn about its research, development and marketing services, and discuss best practices in reaching travelers, the media and increasing tourism visitation and spending. Visit North Carolina's Tourism Resource Assistance Center (TRAC) is a community-based training program designed to help small tourism-related businesses. TRAC will be held 10 a.m. - 2 p.m. at the 1767 Chowan County Courthouse, 117 E. King Street in Edenton. There is no charge to attend, no reservation is required, and there is no PowerPoint presentation. This is a come-when-you-can/stay-as-long-as-you'd-like event opportunity for all tourism-related businesses to meet one-on-one with program managers to discuss better ways to promote their property or event. TRAC brings Visit North Carolina's program managers to local communities to discuss the nuts and bolts of working with the organization. 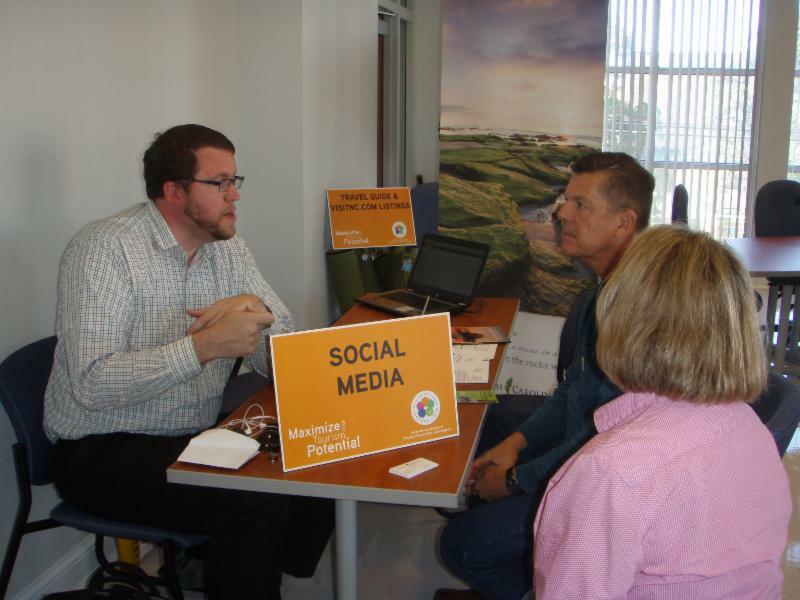 This invaluable program is designed to help tourism-related businesses engage more fully with programs offered by Visit North Carolina and its partners. Representatives from the EDPNC's BLNC, N.C. Welcome Centers/Visitor Services, N.C. State Parks, Agritourism, and NC GreenTravel are often on hand to discuss services they can provide businesses, including strategic planning, assisting with identifying funding sources and serving as liaisons with other local, state and federal agencies. For additional information on this session or to learn more about scheduling a TRAC visit to your community, contact Visit NC's André Nabors at (919) 447-7771. Greensboro was the site for the 2019 RCMA Emerge conference last week, hosting more than 280 religious meeting planners at the three-day conference. Visit North Carolina sponsored the opening night reception at the Greensboro Coliseum with several partners from around the state, including the Greensboro Area CVB, Winston-Salem CVB, Visit Charlotte, Visit Cabarrus, Visit Raleigh, Wilmington and Beaches CVB, Fayetteville Area CVB, High Point CVB, Greenville CVB and Hickory CVB. While in Greensboro, the attendees of Emerge had the opportunity to participate in one of four community service projects and three sightseeing tours. 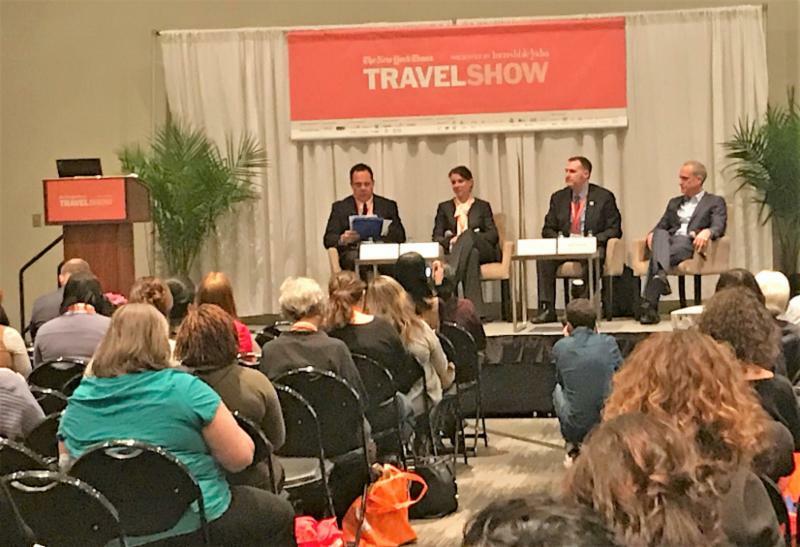 Journalists at NYT Travel Show learn about travel to N.C.
Wit Tuttell participated the "Focus on the USA" travel panel with tourism leaders from California and New York during The New York Times Travel Show last week. Approximately 100 travel writers attended the discussion on current consumer travel trends and activities. 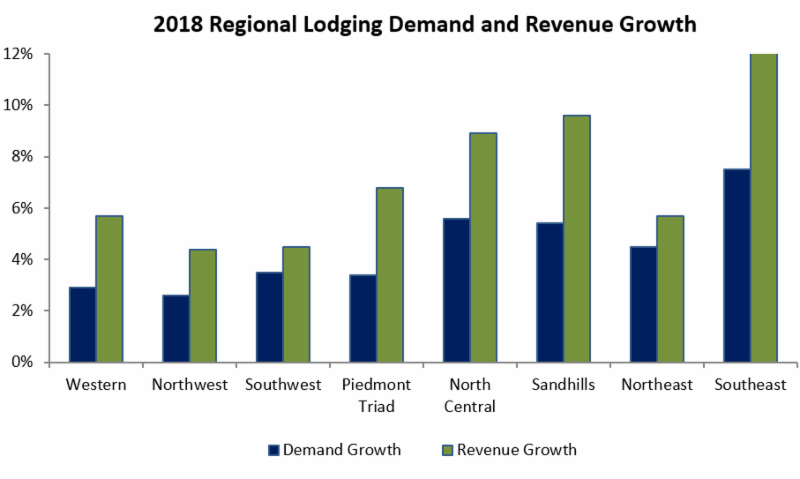 North Carolina's commercial lodging industry posted record numbers in each of the six major lodging indicators in 2018, showing positive growth in demand, supply, revenues, average daily room rate (ADR) and revenue per available room (RevPAR). Recent data released by STR shows that room demand for accommodations, with more than 4 percent growth, hit a record level of more than 36.7 million room nights sold last year. In the last 10 years, room demand has grown nearly 33 percent. Nationally, room demand was up 2.5 percent in 2018 and in the South Atlantic region, demand increased 1.8 percent. Room demand is defined as the number of rooms sold excluding complimentary rooms. Hotel/motel room revenues in North Carolina room revenues were up 7 percent in 2018 from 2017, reaching nearly $3.9 billion and topping the previous high set just last year. Statewide, room revenues have increased nearly 65 percent in the last decade and 42 percent in the last five years. This is due to both an increased number of room nights sold and higher room rates throughout the state. Nationally, room revenues were up 5 percent and up 4 percent in the South Atlantic states. Growth in demand and revenues was also positive by region across the state. Each of the eight regions experienced both increased demand and revenues in 2018. The Southeast Region led the state in both demand growth with 7.5 percent and revenue growth with 12.8 percent. It should be noted that while hurricane recovery efforts influenced the Southeast's increased annual demand and revenues in part, this region had a successful summer season that also contributed to the increases. For the months of June through August, the Southeast Region demand was up 5.5 percent from 2017 and revenues were up 7.2 percent from 2017. In 2018, the U.S. lodging industry had the most ever rooms available (1.90 billion), rooms sold (1.26 billion) and room revenues ($163 billion). Going into 2019, the hotel industry at the national level is expected to see positive, but slower demand, growth. STR forecasts that U.S. demand will grow 1.9 percent and ADR will grow 2.3 percent nationally. To find out more about the national lodging statistics, click here. To view more trend data for the state lodging industry, visit Partners Page - Research. For more information, contact Visit NC's Marlise Taylor at (919) 447-7748. Cycle North Carolina has announced the route for the 21st Annual Mountains to Coast ride, Sept. 28-Oct. 5. This year's route starts in Blowing Rock with stops in Hickory, Spencer, Siler City, Clayton, Greenville, and New Bern, and then finishes at Atlantic Beach. Nearly 1,100 bicyclists from across the U.S. and even outside the U.S. are expected to participate. View the video announcement here. For the fourth year, Visit NC will be offering Cycle NC/Visit NC excursions. These daily excursions give participants and those traveling with them the opportunity to take a break from the ride and experience North Carolina. A dedicated motorcoach is being provided that departs from the overnight host city in the morning and stops at a few attractions and a destination for lunch each day before arriving at the next overnight host city in the late afternoon. Participants pay a fee to help offset costs to the attractions that host them. They will also have the opportunity to shop and learn more about the state for future visits. This is an opportunity to spread the economic impact of the Cycle NC ride to many more communities on or near the route of the ride. Visit North Carolina, under the previous mantle of the N.C. Division of Tourism, Film & Sports Development, is a founding sponsor of Cycle North Carolina's Mountains to Coast, Fall and Spring rides. Cycle North Carolina offers one of the largest cross-state bicycle tours in the United States. The Fall and Spring rides, in addition to the Mountain Ride in August, are designed to promote North Carolina's scenic beauty while providing substantial economic impact to small towns across the state. 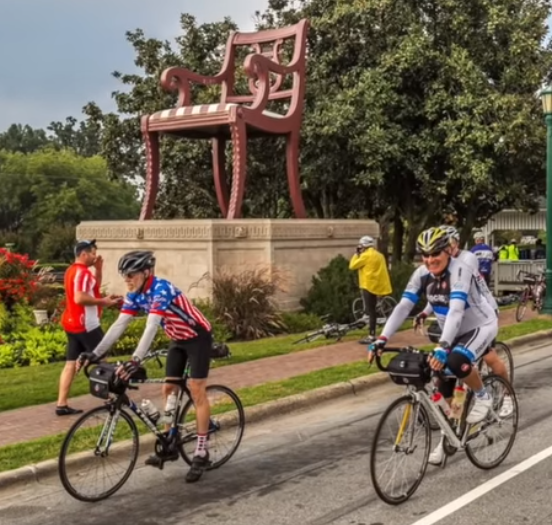 During the past 20 years, Cycle North Carolina has stopped overnight in more than 100 North Carolina towns and visited nearly 700 North Carolina communities. North Carolina's NC GreenTravel Initiative is the most extensive program of its kind in the nation. The recognition program is a joint effort of Visit North Carolina, the N.C. Division of Environmental Assistance and Customer Service, East Carolina University's Center for Sustainable Energy and Environmental Engineering, and Waste Reduction Partners. The program is designed to provide recognition for tourism businesses and organizations that have implemented green practices. It also provides free technical support to help businesses implement more sustainable efforts. To become a recognized NC GreenTravel Destination, businesses operators can complete an online self-application form. Once the application has been submitted, it is reviewed and scored. If tourism businesses meet the necessary score to be recognized, they are awarded a One-, Two-, or Three-Dogwood Blossom rating based on how well they met the criteria for categories such as Lodging, Restaurants, Parks, Attractions, Museums, Welcome Centers, Festivals, Wineries, Breweries and Nature Based and other tourism-oriented businesses. Tourism businesses that have been recognized by the program receive a window decal, a certificate indicating the level of recognition, and are listed on the NC GreenTravel website. To learn more, contact NC GreenTravel Initiative Manager Tom Rhodes at (919) 707-8140. For the week of Feb. 7 on North Carolina Weekend, meet the owner of the century-old Conrad & Hinkle Food Market in Lexington. Join a tour of Seymour Johnson Air Force Base in Goldsboro. Explore the Studio 32 Gallery in Sunbury. And the "House Special" samples the fare at the Rose Hill Restaurant in Rose Hill. (Check local listings; segments are subject to change.) North Carolina Weekend is underwritten by Visit North Carolina. In addition, UNC-TV has recent editions of North Carolina Weekend available online. 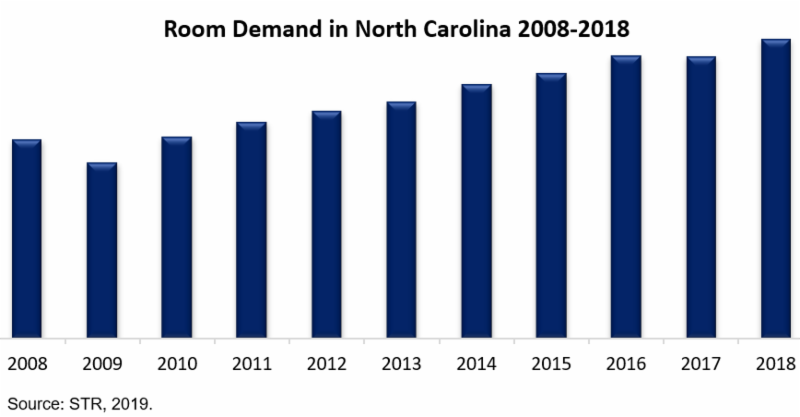 Average hotel/motel daily room rates (ADR) topped $104 in North Carolina in 2018, an increase of 2.4 percent from 2017. ADR has increased nearly 21 percent in the last five years. For more North Carolina visitor information, visit Lodging Reports or contact Visit NC's Tourism Research Director Marlise Taylor at (919) 447-7748. Feb. 24-27 - Travel South Domestic Showcase, Myrtle Beach, S.C.
March 19-21 - STS Connections / SETTRA Meeting, Daytona Beach, Fla.
April 10-11 - US Travel Assn. Destination Capitol Hill, Washington, D.C.